The HHM61 combination DMM/ac current clamp meter/digital thermometer is a compact, lightweight, multi-function test and measurement instrument at an economical price. The HHM61 is ideal for electrician’s and technicians who need a portable test instrument that is both accurate and reliable. 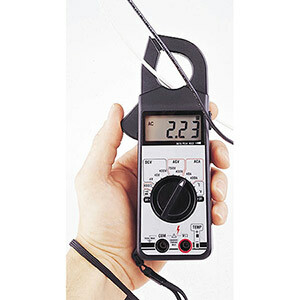 The integral ac clamp meter function makes this meter ideal for troubleshooting the operation of electric resistance heaters and other plant electrical systems.